A miniature Gamble House that delivers monumental results. 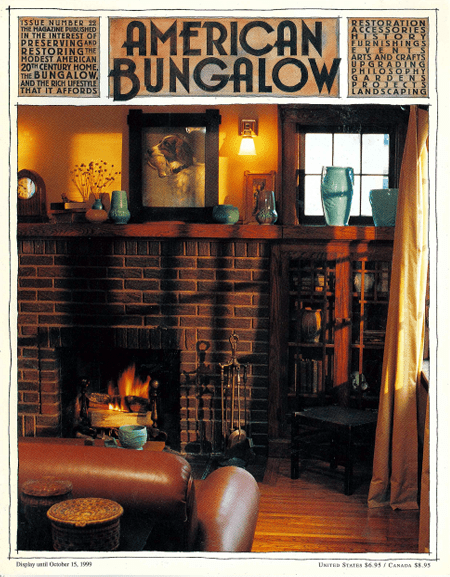 In the Twin Cities, bungalows have come into their own. The author of Call of the WIld and White Fang builds a monument to teh Arts and Crafts aesthetic. New homes that embrace the Craftsman style and the wild beauty of the Pacific Northwest. Washington’s slumbering volcano is a great destination for Arts and Crafts enthusiasts. Amy Miller climbs to new heights to bring vintage stencils to light.